Commercial airlines love hiring military pilots, yet getting hired can be a challenge. With the help of Cockpit to Cockpit, learn how to land a lucrative second career as an airline pilot. Cockpit to Cockpit was written by an air force pilot who made the transition. Lt Col Marc Himelhoch, USAF (Ret) interviewed with and received conditional job offers from Delta Air Lines, JetBlue Airways, Southwest Airlines, and XOJET. Now he wants to share tips and tricks to help you transition from a military to airline cockpit. Now available, Cockpit to Cockpit Second Edition is packed with new and updated content! 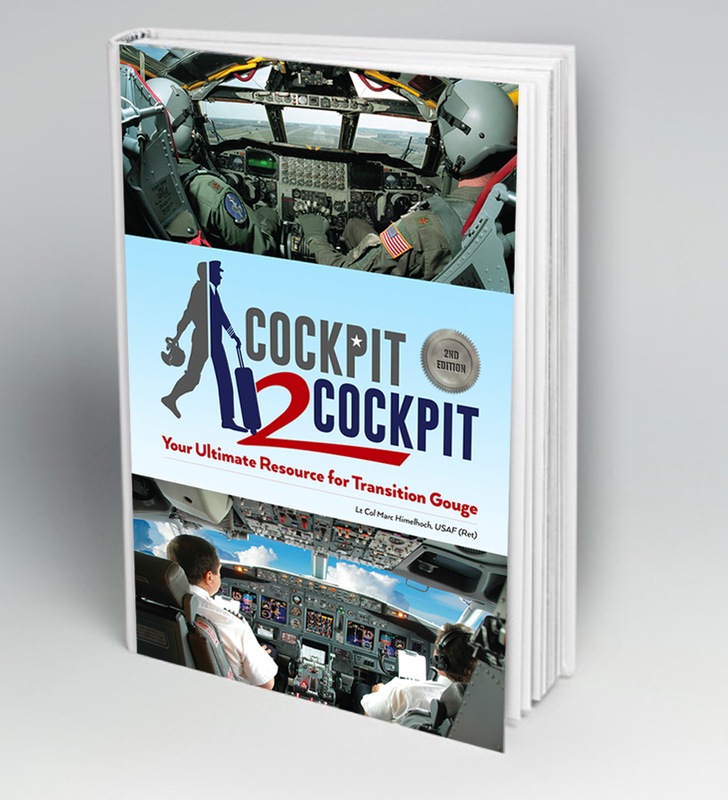 Cockpit to Cockpit gives pilots a detailed guide covering the transition process from A–Z. Author Marc Himelhoch packages proven résumé and application techniques with valuable, direct-sourced airline hiring department information, and tips learned through personal experience to increase your chances of scoring interviews with your top airline choices. Each chapter contains a handy end-of-chapter checklist that walks you right through the entire transition process from start to finish. Save time, save money, stay organized! Save time, save money, stay organized! The recently updated support package products include an innovative airline comparison spreadsheet to help you decide which airline is right for you and your family. Other support package products include a 0.3 flight hours-sortie conversion calculator, sample résumé, five sample letters of recommendation, letters of recommendation tracking spreadsheet and table of contents, airline application tracking spreadsheet, list of references template, trip report template, and a sample post-interview thank you letter. As an added bonus, the new Support Package also includes a Personal Transition Timeline that applies suggested due dates to each end-of-chapter checklist item based on your airline availability date. Why reinvent the wheel?